His best-known song is “Mack the Knife,” with words by Bertolt Brecht, from The Threepenny Opera, first performed in Weimar Berlin in 1928. 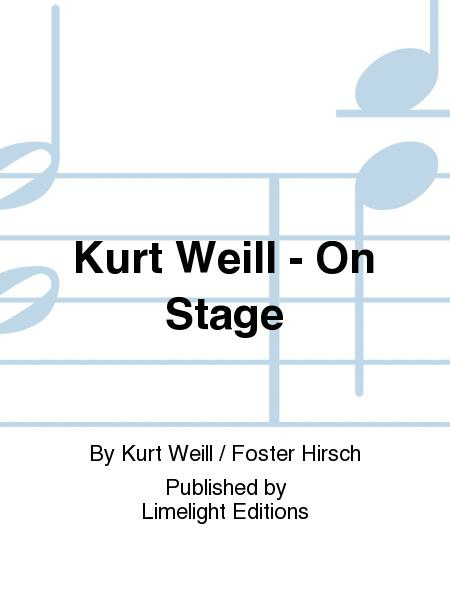 Five years later, Kurt Weill fled the Nazis to come to America, where he soon emerged as one of the most admired composers of the Broadway musical stage. His shows included: Knickerbocker Holiday, Lady in the Dark, One Touch of Venus, Street Scene and Lost in the Stars. 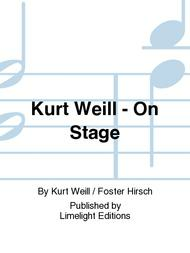 His songs: “My Ship,” “September Song,” “Speak Low” and “It Never Was You.” This biography concentrates on Weill's career in the United States, but its aim is to explore the truth in the comment made by Weill's wife, the unforgettable Lotte Lenya: “There is no American Weill, there is no German Weill. There is no difference between them. There is only Weill.”.